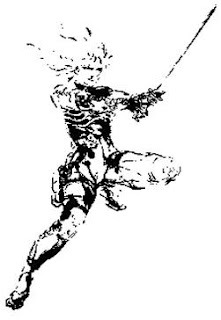 "Metal Gear Solid 2: Sons of Liberty is simply the illusion of control via the illusion of simulation." Before there was cleverness in videogames, there was cruelty. Metal Gear Solid 2 is a game made by Hideo Kojima, a man that doesn't like you. He doesn't you, he doesn't like his fans, he doesn't like making Metal Gear games over and over. He tried to quit a bunch of times, but then Japanese people rioted. He probably wanted to just produce games instead of directing, throw some good ideas at hungry developers so they could make things like Zone of the Enders (* * out of 4) or Castlevania: Lords of Shadow (* * * out of 4). He's an abstract and an "ideas man." He's too resentful to expect the player to understand his message when he speaks his mind within the context of a game. Kojima likes messing with people, offering a co-worker a handful of M&M's, and then laughing at them when they bit down on what were actually painted pebbles that he'd stayed up after lights-out to prepare. His is a character with no motivation -- he just does. "If [Sly Cooper] The Thievius Raccoonus were a real eBook, its marked-down $99.99 price would crash the Amazon servers, this all after a 52-week stint as a bestseller with a sticker price of $firstborn." The best videogame in the world is a mixture of Red Bull, vodka, smelly ink, velvety poetry, half of those good notes a jazzman isn't playing, and that one girl across the room. 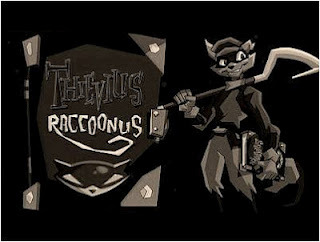 Sly Cooper and the Thievius Raccoonus is several of these things, retold as a music video. It is the best piece of fan fiction that you wrote based on your favorite Saturday morning cartoon, as edited by Paul Krugman. A lot of the time, you're re-enacting Walt Disney's bold, visionary remake of Shigeru Miyamoto's 1996 platformasterpiece Super Mario 64, and the rest of the time, you're Scotch-taping your older sister's cheap scarf to your lower back and waving a lacrosse stick, shouting: "Broken glass! Broken glass is the gift for the man who has everything!"